MICROCHEM™ CFR is a flame retardant material designed to be worn over woven thermal protective garments such as NOMEX™, offering protection from particulates and pressurised liquid spray without compromising worker protection in the event of a flash fire*. 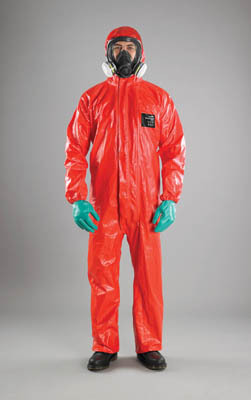 Microchem™ CFR should never be worn in isolation for flame retardant protection. Always wear over the top of garments which achieve EN ISO 14116 Index 2 or above.